ST. LOUIS, Jun. 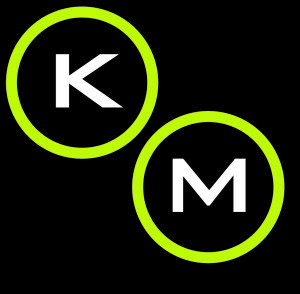 12, 2014 – Kelly Mitchell Group, Inc. (KellyMitchell), a national technical consulting firm, is awarded 7th on the 2014 list of 25 Largest Management Consulting Firms by Minneapolis/St. Paul Business Journal. This is KellyMitchell’s first time honored on the Minneapolis/St. Paul Business Journal’s list of 25 Largest Management Consulting Firms. The list was printed in the May 30th edition of the Minneapolis/St. Paul Business Journal. The Twin Cities Business Journal has seen an 85 percent increase in total number of metro management consultants in the past 10 years according to the article. Headquartered in St. Louis, KellyMitchell is a privately-held, women-owned, flexible IT workforce solutions firm dedicated to matching the best IT and business talent with exclusive opportunities on an international scale. With 16 branch offices and more than 2,000 employees, KellyMitchell assists Fortune 500 clients in achieving their IT, Business, and Financial goals by providing a flexible and skilled workforce that meets their needs. The greater Minneapolis metro area is one of KellyMitchell’s fastest growing markets. KellyMitchell was also recently honored as one of St. Louis’s 25 Fastest Growing Companies by the St. Louis Business Journal. At KellyMitchell, we’re passionate about helping companies solve their biggest IT staffing obstacles. As an award-winning, women-owned business serving Fortune 500 companies on a national scale, we’re poised to deliver expert help and excellent value at a moment’s notice. For more information, please visit www.kellymitchell.com, and be sure to follow the KellyMitchell on Facebook, Twitter, and Pinterest.